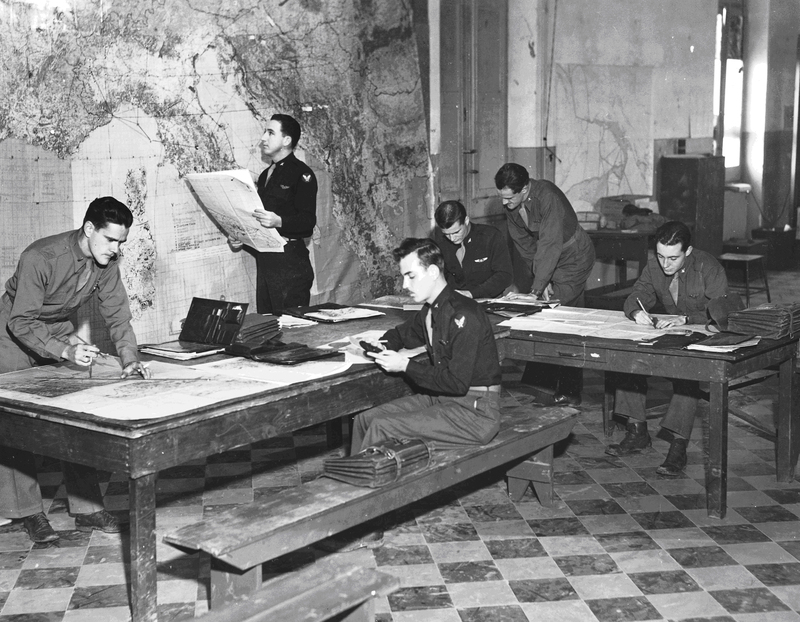 Navigators of the 885th BS plot the course for their next mission in Northern Italy. Brindisi, Italy. 15 Feb 1945.